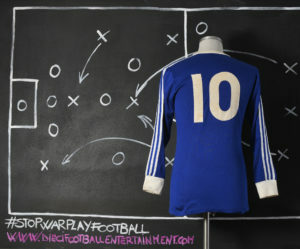 This shirt was worn by Kuwait’s number 10 during a friendly game against Flamengo and swapped after the match with a Brazilian team’s player. 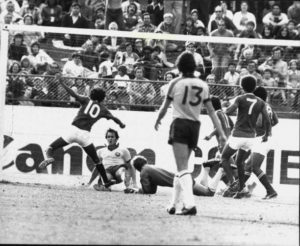 Back to 70’s friendly games between club teams and national teams were pretty common, in particular with smaller National teams that were usual to travel around the world to challenge historical club’s teams. 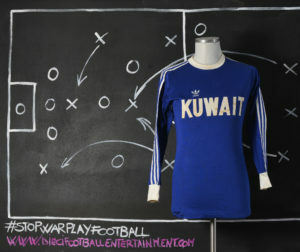 The Kuwait national football team is the national team of Kuwait and is controlled by the Kuwait Football Association. Kuwait made one World Cup finals appearance, in 1982, managing one point in the group stages. 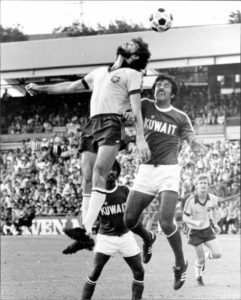 In the Asian Cup, Kuwait reached the final in 1976 and won the tournament in 1980. Kuwait’s 20–0 win over Bhutan in 2000 was at the time the biggest ever victory in international football. It was surpassed in 2001, when Australia beat American Samoa 31–0. 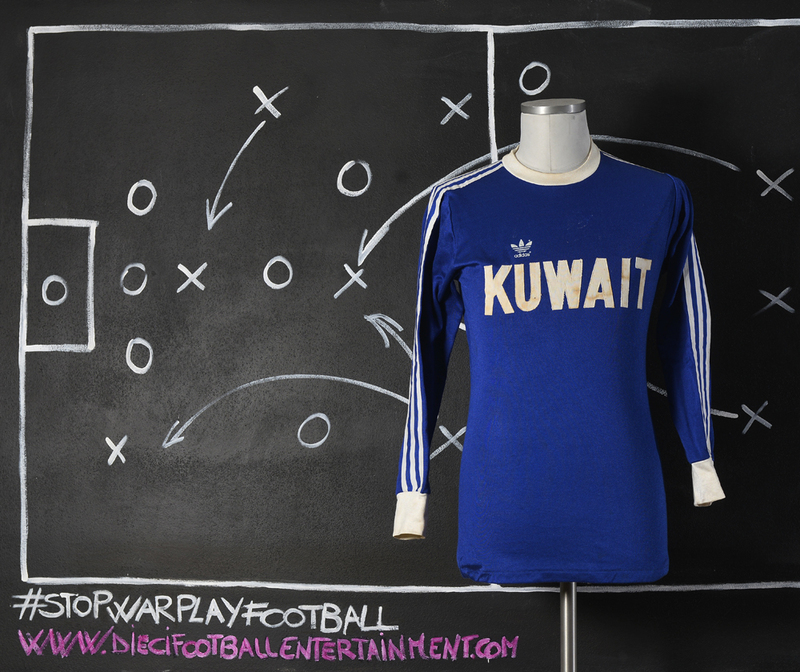 Kuwait’s first international match was played in the 1961 Pan Arab Games against Libya which ended in a 2–2 draw. Kuwait’s biggest loss was against Republic the United Arab Republic when they were destroyed 8–0 by the Pharaohs in the same tournament. 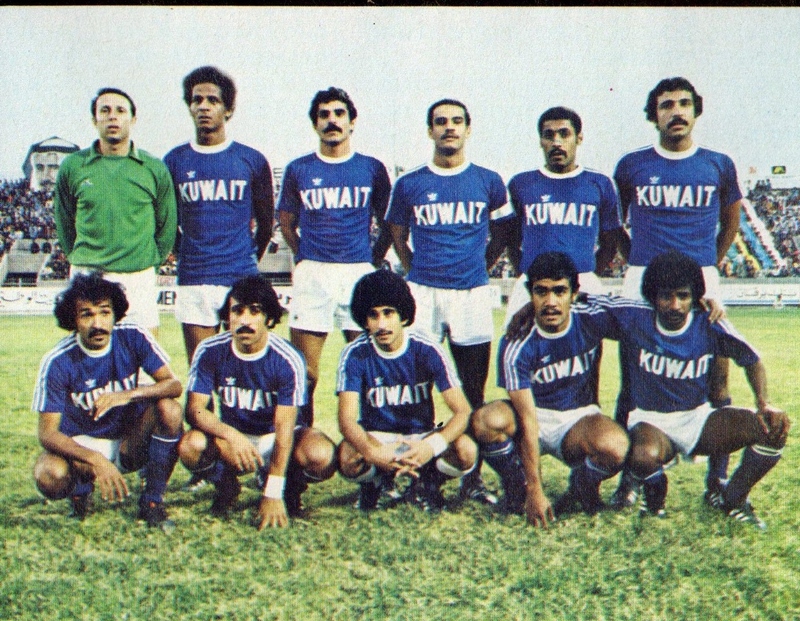 Kuwait national football team has joined the World Cup in 1982 which was held in Spain. Kuwait was placed in the fourth group, and got fourth place after defeats to England and France and a respectable draw with Czechoslovakia. 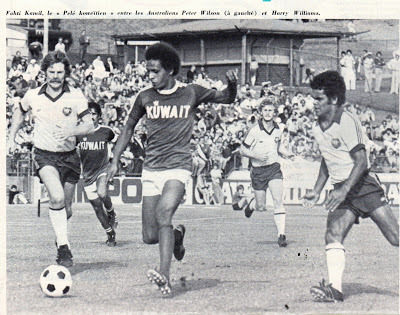 Kuwait has won the Asian Cup in 1980 which was held on its soil. Kuwait won the Final 3–0 against South Korea. Kuwait’s historical highest FIFA ranking was the 24th place achieved in December 1998. 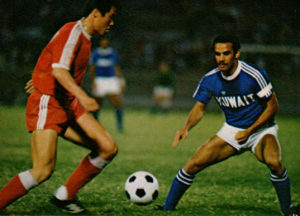 Bader Al-Mutawa is the most capped player of the Kuwaiti team, and Bashar Abdullah is the top goalscorer in the history of the Kuwait national football team. Kuwait has won the Arabian Gulf Cup ten times, and is the most successful team in winning that competition. Kuwait’s most historical manager was Luiz Felipe Scolari, who won the World Cup with Brazil, and was forced to leave the country after the 1990 invasion by Iraq. He led Kuwait to win the 1990 Gulf Cup beating Qatar in The Final. 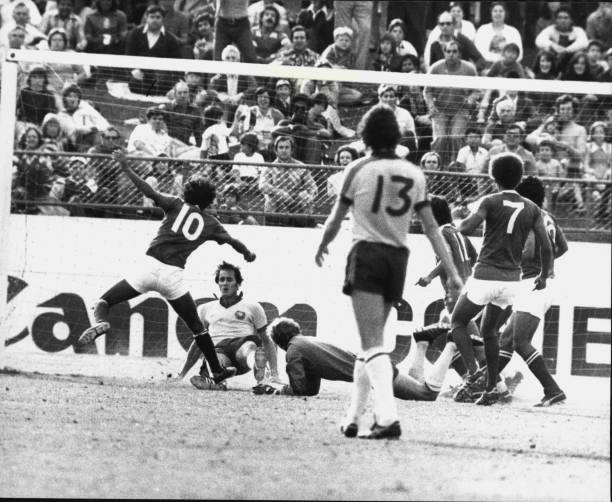 Kuwait’s biggest win was against Bhutan which ended in a thrilling 20–0 win, which was the biggest win until Australia won 31–0 against the American Samoa in 2001. 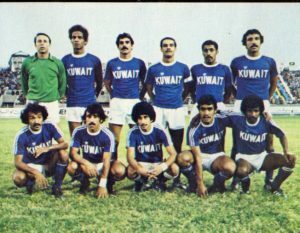 Kuwait’s most successful years were between 1970–1990 which had players like Jassem Yacoub, Faisal Dakhil, and Sa’ad Al-Hoty.